This has been one fast summer but I have to admit I am getting that itch for Fall. I already started a few small projects to get ready...so this post couldn't come any later. 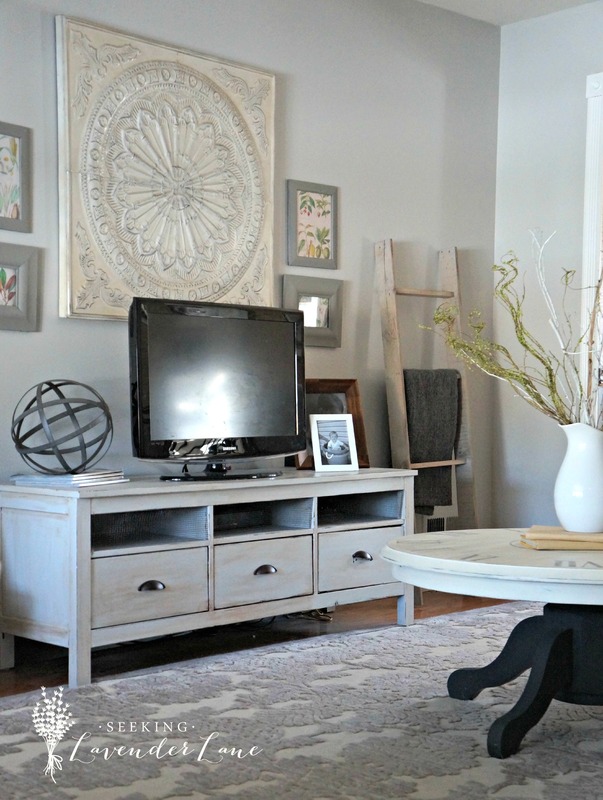 So happy to share my summer home tour and so grateful to be here at the Shelstring Blog. Welcome to my home! 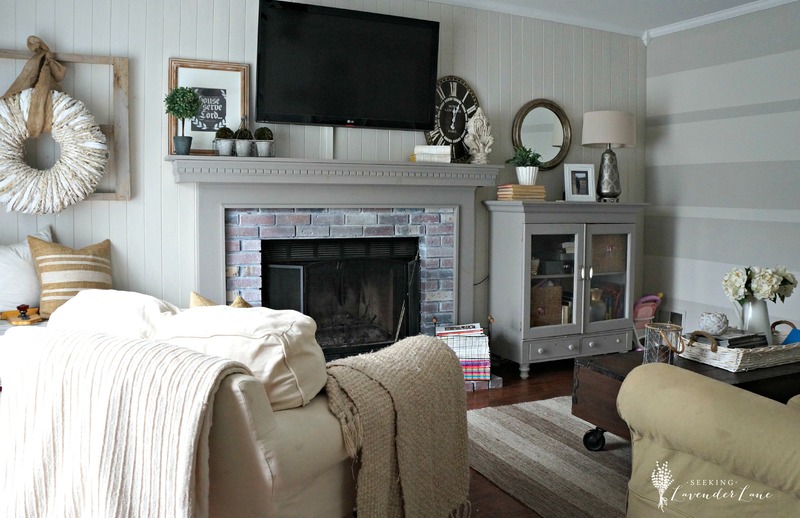 One of the first rooms you will see when entering our house is the Living Room. A great entrance to the house that has neutral tones with some pops of black and white and green. 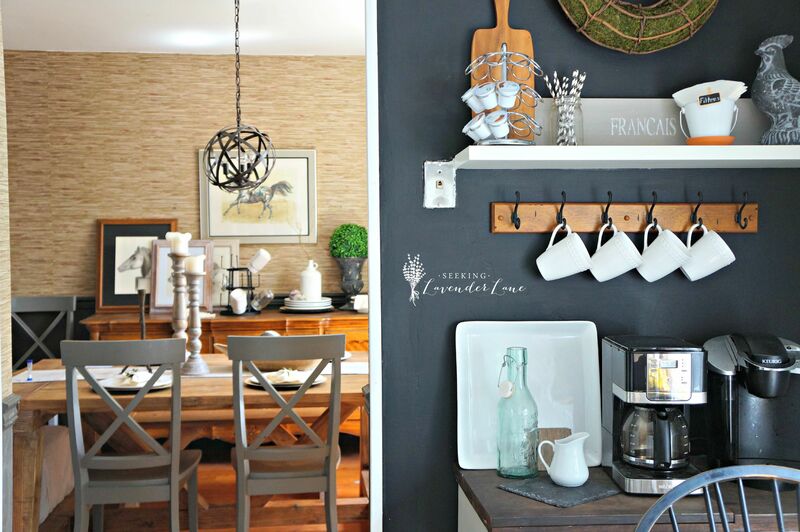 I especially love having our planked wall to hang coats on and add that farmhouse touch. My absolute favorite accessory here are the two photos above. Adding pops of green and nature to the inside. These are some photos that I printed out from Instagram. 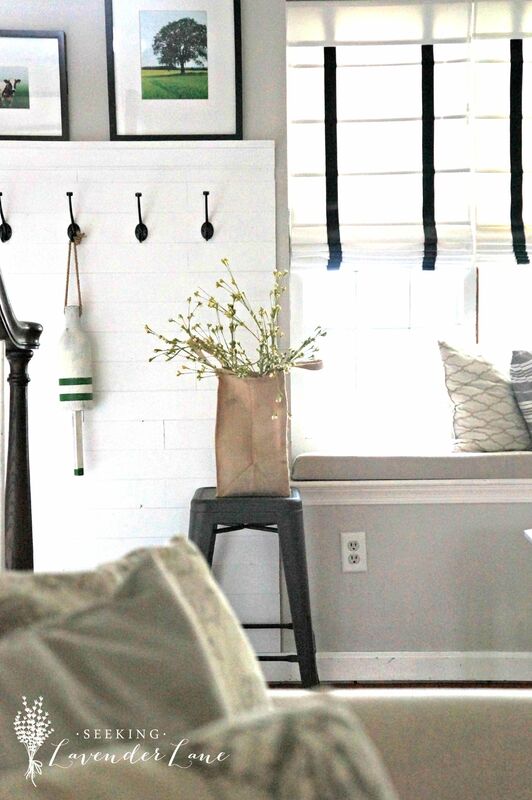 Having the black and white contrast is one of my favorites and bringing them to our DIY Roman Shades brings this wall together really nicely. 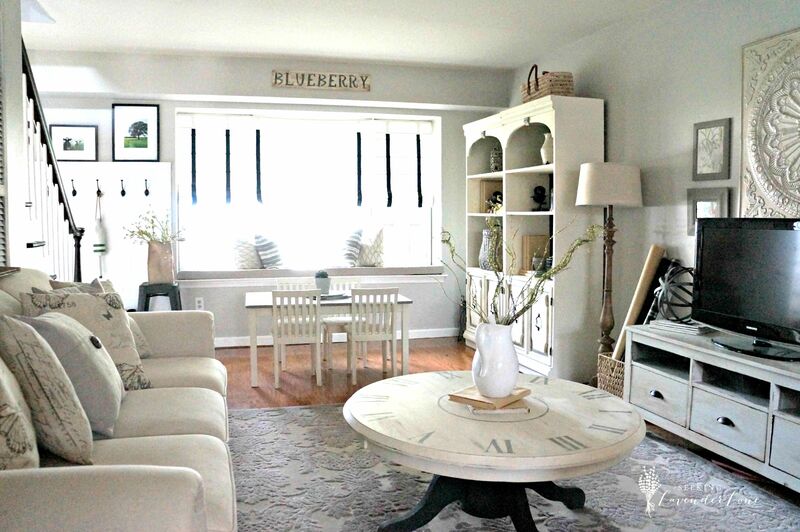 Having space for the kids to sit and do crafts and the cabinets filled with toys creates function in this not so casual room. Just posted last week about these added touches. 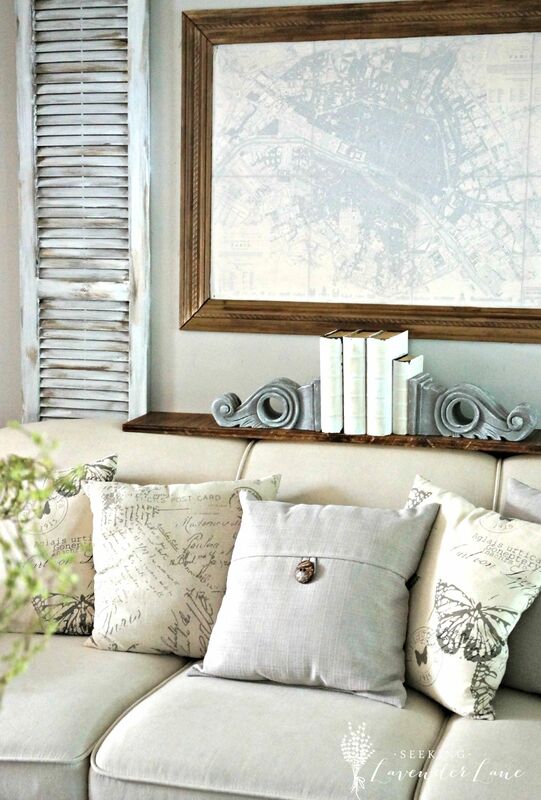 The faux shutters and the floating shelf over the couch complete this wall really nicely. 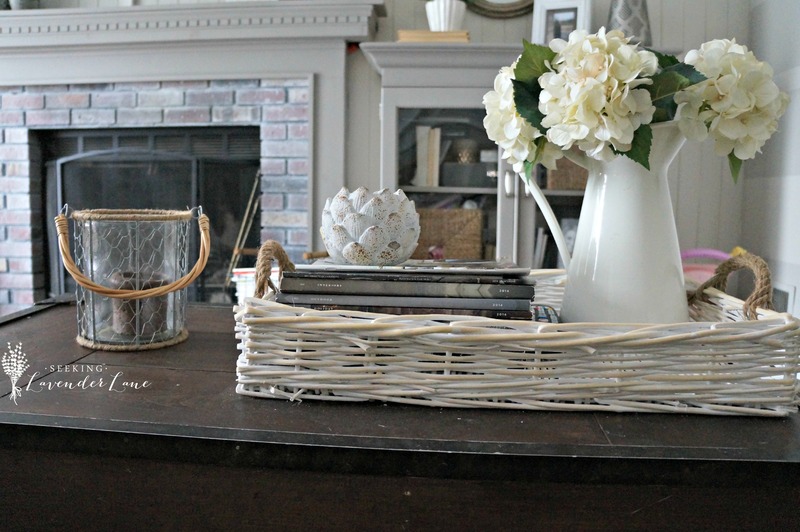 The TV stand was an Ikea hack and I built this Blanket Ladder using pallet wood. 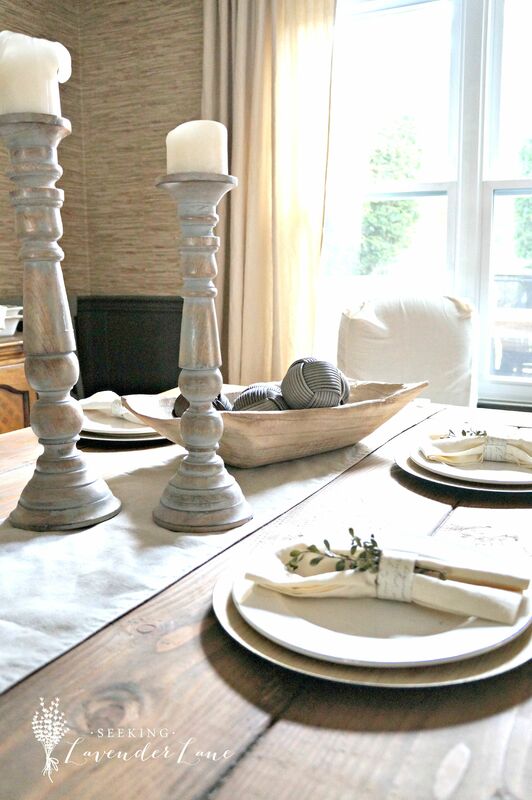 We also DIY'd this Restoration Hardware Knock off Dining table. For the summer I added some greenery to the napkins that I picked from our backyard. In our Kitchen, this is my newest addition...our chalkboard wall! Which I am LOVING...this wall needed a dramatic change..and I love how it's coming together. Though, our dining room still needs some finishing touches...coming this Fall! Here is my White farmhouse kitchen. 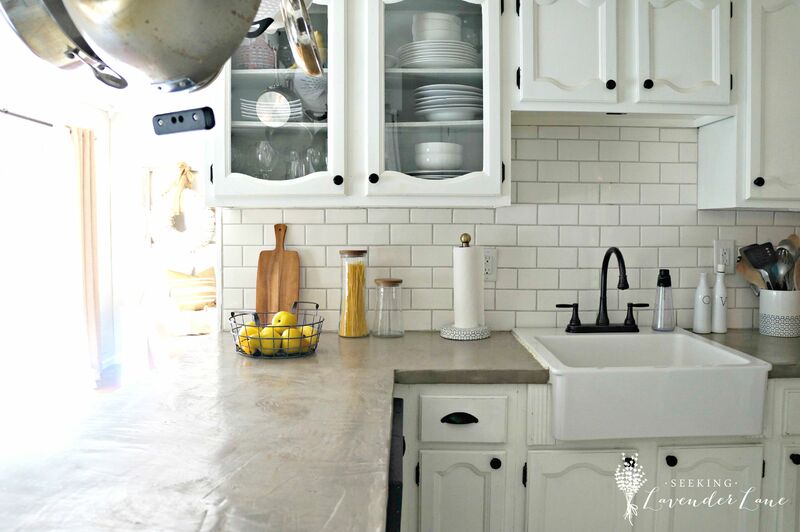 I love a white and bright kitchen and we created this entire kitchen two years ago for less than $400...with the new Ardex Feather finish countertops that we did during 4th of July weekend. Last room on the downstairs is our Family room. The place we unwind and hang out in mostly. Though it's small in size it really has that cottage style comfortable feeling that my family and I really enjoy. In the summer we really enjoy having the sliding door open and let in the warm air. 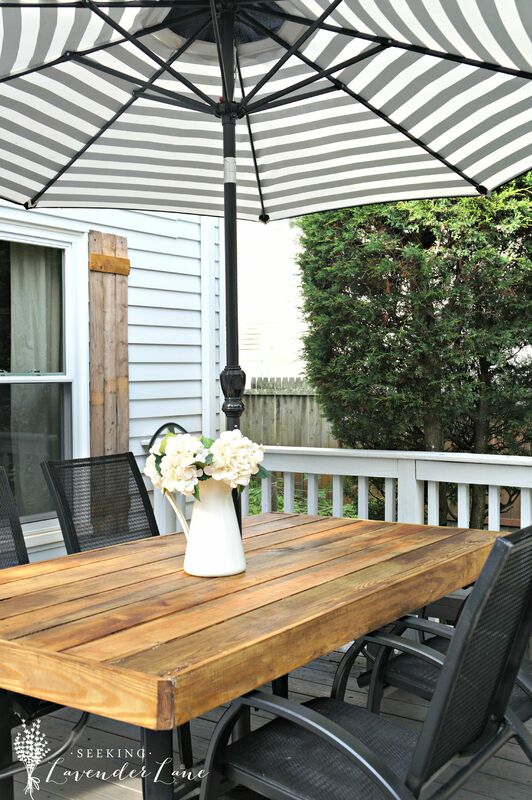 Finally our backyard has been getting a mini makeover by updating our Patio table and adding Rustic $0 Wood Shutters. Thank you so much for touring my home for the Summer...this was so fun to share! Thank you so much Deb for being such a gracious host, and to all of you...isn't her home amazing?! What a wonderful tour to wrap up this series!! Her special touches of functionality and beauty are so inspiring to me. 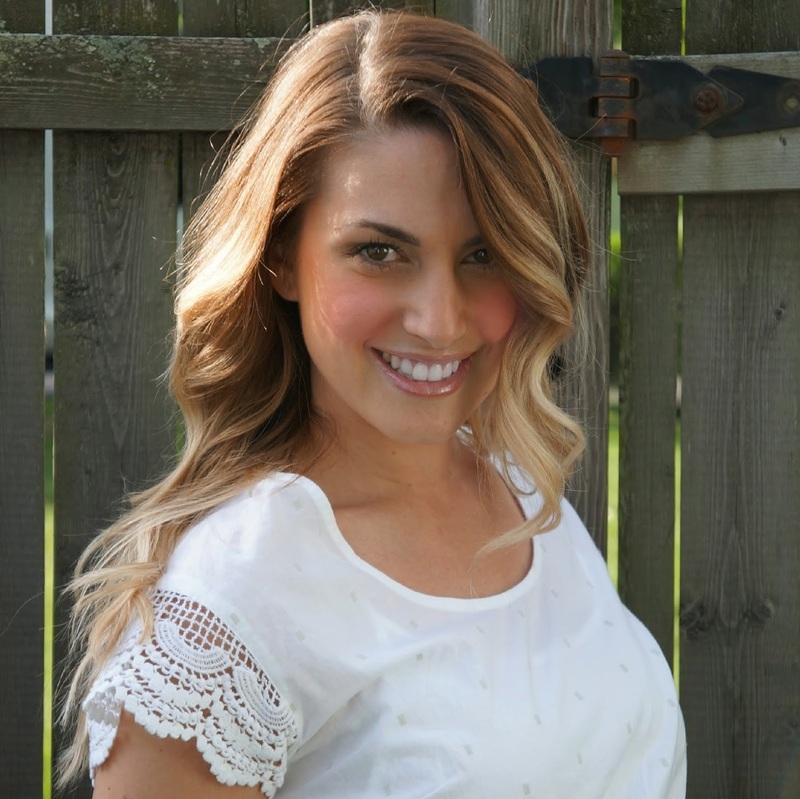 You have got to check out her beautiful blog and see all the projects she has been up to. There are so many you will NOT want to miss. Thank you everyone for sharing with me in this series, and for enjoying each and every tour. It wouldn't have been the same without you. Another great home tour Michele. I love Deb and her pretty home. Have a great week end.